Look no further for the ultimate combination of officer protection. 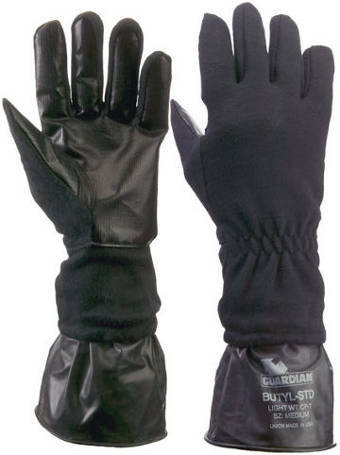 TurtleSkin Chem-Bio Gloves combine a chemical biological barrier membrane with a tough outer shell. The inner butyl liner resists liquids and nerve and blister agents (like GA, VX, HD, and HN), while the rugged outer shell gives you cut, puncture, and abrasion resistance. This glove is a perfect addition to any officer's police gear.